Booking.com is one of the world’s largest e-commerce companies and a digital technology leader connecting travellers with the widest choice of incredible places to stay. 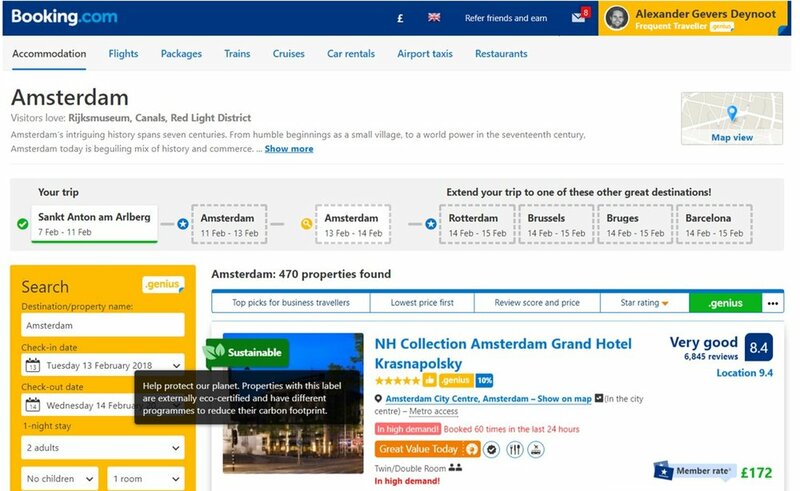 With a mission to empower people to experience the world, Booking.com is continually exploring improved ways to uncover and share the sustainability efforts of its accommodation partners with those searching and selecting on its site. As part of this, Booking.com is partnering with Green Key to highlight Green Key awarded properties on its site as 'sustainable'. Finn Bolding Thomsen, Green Key International Director, says: “As a previous survey done by Booking.com has revealed that travellers are increasingly conscious about the environmental impact of travels, the pilot project by Booking.com is a natural next step, as it will enable users of Booking.com to actively select accommodations having the Green Key award or other sustainability initiatives in place. Green Key is proud to participate in the pilot project, and we hope that it will become a permanent feature on the Booking.com website”.